You Can Have Anything You Want When You Set A Personal Plan In Action and When You Believe In YOU. Going after your goal and Improving your lifestyle is easy when you know how – even if you feel you are in a position of ‘environmental prisoner’. The important thing you need to remember is that you understand what you’ll achieve and other benefits from and what you gain from deploying a positive mind set; so long as you are totally convinced that it’s worth the effort and you that you deserve more than you currently have. All you need to do is to work out a plan of action that fits and works around your current lifestyle and desired outcome, that’s the easy part. Next you truly have to commit to making it work by mastering the skills that will catapult you towards your goals. 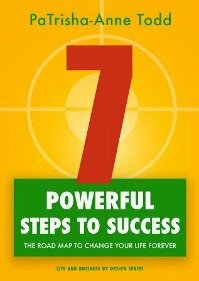 Obtaining success does not have to be another chore on your to-do list or frightening experience that you dread. I’m absolutely convinced that with proper preparation and educated choices anyone can navigate a path that leads to lasting accomplishment. It’s no good trying to run before you can walk, you’ll likely end up with frustrations and possibly give up before you have even given yourself a fair chance to come out smiling and winning. Take your time and plot your action plan step by step. Begin with recognising your goals. Be certain in what you want. Ask yourself why you want the goal and what achieving the goal will mean for you. Over time you will recognise exactly what you want, why you want it and what you can do to make change happen. With daily focused steps you will see change, feel it and experience pure excitement that you can change whatever you want in your life. Of course, keeping in mind the realities of the factual situation, sometimes there are legitimate reasons and boundaries that cannot be overcome or in essence would not be a true benefit to you. Once have your specific goal in mind and what it will mean in your life you can start making a difference in your daily routine and explore the benefits of knowing what you want. Put your plan down on paper. Get it written in an open and honest format that takes into account your current lifestyle i.e. your job, your education, your financial situation, your life at home and what you want to change and achieve. This open minded and gradual start will significantly improve your chances of manifesting the change you desire within a very short space of time, usually within the first 90 days. As you are someone who really wants to change your current lifestyle, your business and financial security I’m sharing this article with you just as I have done with many clients who have also looked to live life by design. Yes You Can Live A Life By Design and Enjoy A Business That Gives You Profit, Happiness and Security. Living life is an opportunity to really choose how you want to live. OK, so some say there is no 'second change', I believe there is, and I'd love to work with you as you go through your second chance.